Tim Hortons increased the price of many of their hot beverages and breakfast items today, with the average increase of 10 cents on each cup of coffee. Along with the price hike, Angela Markham, the Tim Hortons High Chancellor for North Bay, announced the construction of 8 new Tim Hortons. Currently, North Bay has Tim Hortons on McKeown Ave., Cassell’s, Trout Lake, Pinewood Park, Algonquin Ave., and near Seymour, as well as 2 on Lakeshore Drive, 1 in Northgate, 3 inside Nipissing University, another in Sobey’s, the Hospital, and Commerce Court. That makes for 15 total. 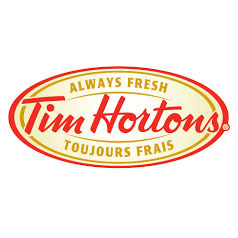 With 8 more, there will officially be more Tim Hortons than free full-time jobs in North Bay. Markham says the first new “Timmys” will open just outside the new Homewood Suites on Oak St., and then from there the sky’s the limit. Literally. “We’ve playing with the idea of Tim Hortons zeppelins,” High Chancellor Markham said, brushing a red velvet cloak off her shoulder. “Did you know that the population of North Bay is about 51 0000? That means there’s currently only 1 Tim Hortons for every 3400 people in North Bay, which is unacceptable. I won’t rest until there’s a Tim Hortons on every corner, on every street, and in every house!” Markham declared, voice rising. Exhausted, Markham collapsed, but was revived with a extra large Triple-Triple™.